If you came to this tutorial because you were searching for an answer to the question “what printer profile should I use”, it's likely that you are not entirely familiar with printer profiles (also sometimes referred to as ICC Profiles) and how they work. What follows should help. When you print a photograph there are a lot of variables that can affect the results. Most often these show up as variations in the printed image colours. This might not seem like a big deal for most people but if you are a photographer and interested in achieving top quality results, this is a huge deal. What printer profiles do is allow you to achieve a high degree of certainty that the colours in your printed image will match the colours you see on your monitor (within the limitations of the printer and monitor). What you might not yet appreciate is that these profiles are different for each type of paper you print to, even if you are using the same printer. 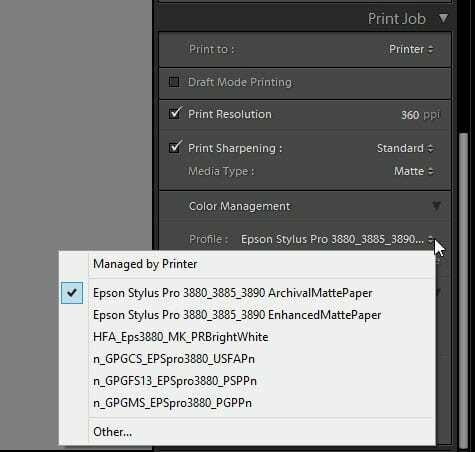 This means that you need to install a printer profile for each paper type to your computer and that profile is specific to a combination of paper and printer make/model. 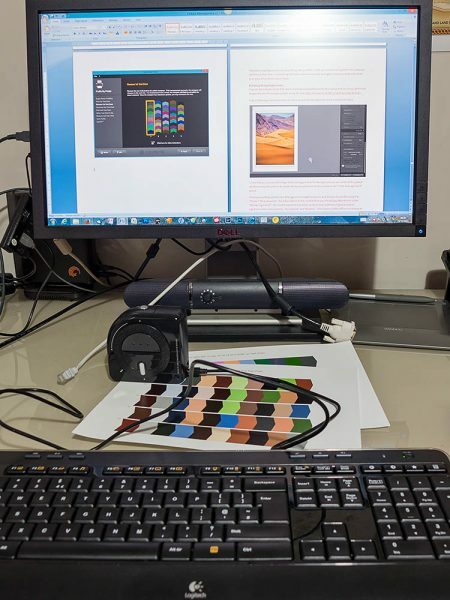 For example if you are printing to Epson Archival Matte paper using an Epson 3880 printer you will need a printer profile specific to this combination of paper and printer. If you then decided to make the same print using Permajet Museum 310 on the same Epson 3880 printer you would need to use a different printer profile, even though both papers have a matte surface. If you don't select the right profile your prints won't accurately represent the image colours. When you install your printer it's possible it will come with a number of printer profiles, especially if the printer manufacturer also sells a range of papers such as Epson and Canon. This is fine if you want to use their papers but it's likely you will want to print with paper from other manufacturer such as Canson, Fotospeed and Permajet. Typically these paper manufacturers will have printer profiles for their papers and popular printer models that you can download from their website. This is in their interest as it helps you produce colour accurate prints. Sometimes you might find that your printer isn't supported by the paper manufacturer in which case you will need to have a bespoke profile created for your paper/printer combination. Some enlightened paper manufacturers such as Fotospeed and Permajet offer a free profiling service and will create a profile for your printer using their paper. Again this is in their interest as it allows them to create a broad range of profiles covering many different printers. If you find the paper manufacturer doesn't provide this service you will need to pay a third party to create the profile. 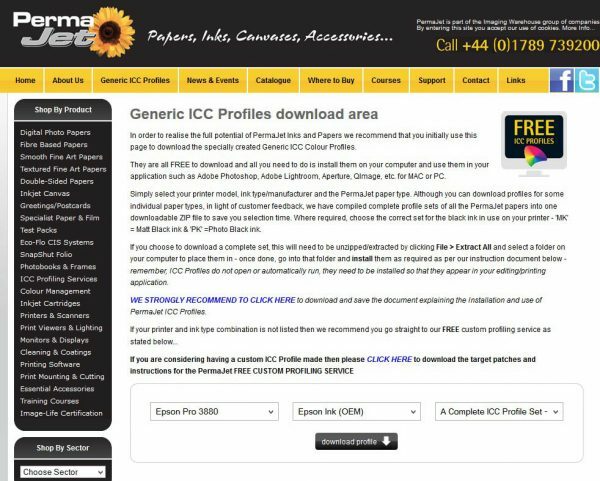 Alternatively you could purchase a printer profile creator such as the Color Munki Photo which will generate an ICC profile. View ColorMunki Photo on Amazon. Once you have installed your printer profile you will need to use it in two ways. 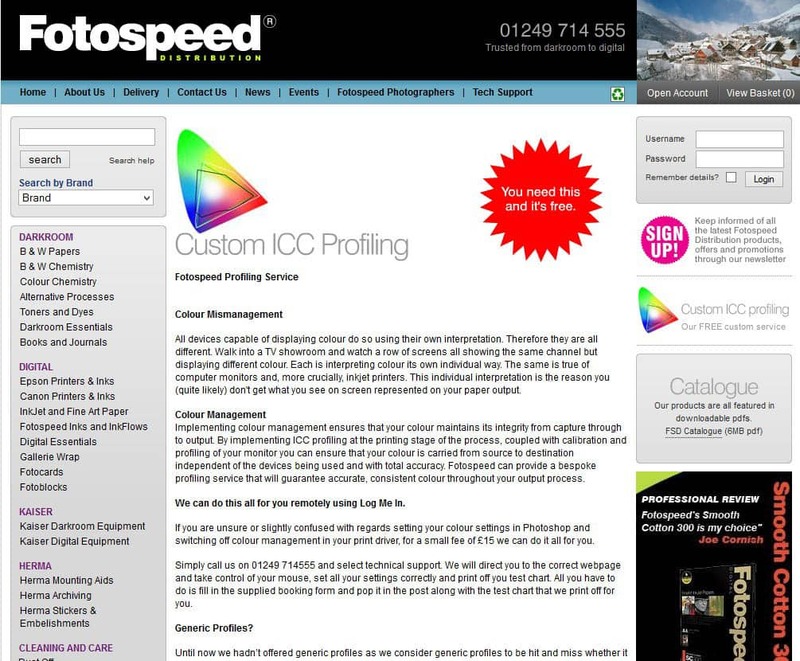 Firstly you will need to use the profile to soft proof the image you intend to print. This soft proofing process simulates how the print will look on the computer screen without needing to print it. It's then possible to adjust the soft proof so that it matches how you want the finished print to appear. The second way you need to use the printer profile is when sending your image to the printer. You will need to configure your printer software (for example Lightroom) to print using the correct printer profile. At the same time you will also need to configure your printer driver to recognise that the printer software is performing the colour management and not to make any further adjustment. Providing you do both of these things correctly your final print should match your soft proofed image. The follow on tutorial covering Soft Proofing in Lightroom is also available.